Sign up on the morning of the contest at Oak Park Pavilion. Check the Sandshoes Boardriders Group Facebook page for updates on the scheduled contest days. Championship pointscore events are held each month – February to November – and competition is in three divisions – Open, Over 40s, and Junior . We hold one competition each month, we set aside two weekends of each month but only use one day (based on wave conditions). 7.00am starts with 8.30am cut off time unless someone puts your name in for you if you’re going to be late. 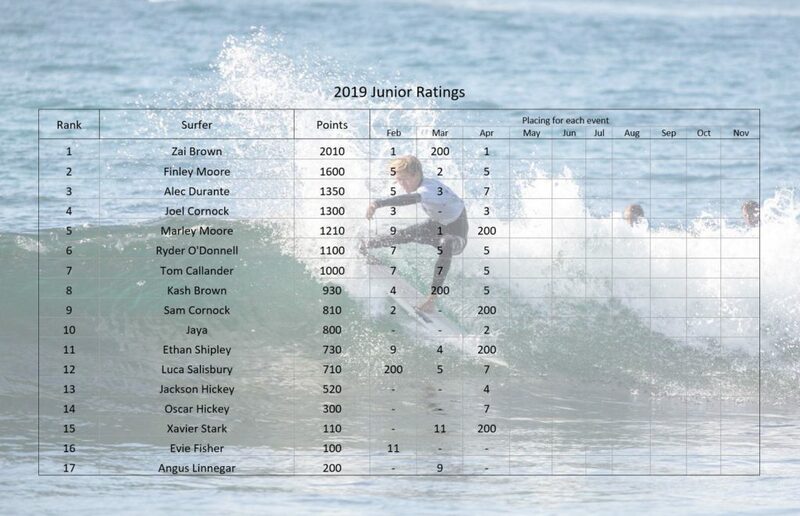 Six waves per surfer per heat… Highest TWO scores count towards result. One Double Whammy ride per heat. This rides scores double points. But ONLY if surfers signal their chosen Double Whammy by raising both arms above their head PRIOR to catching the next wave. Only surfers in a heat are allowed to surf in the designated contest zone. Other Members are NOT ALLOWED to surf in the contest area during a heat. If they ignore warning announcements they will be disqualified. 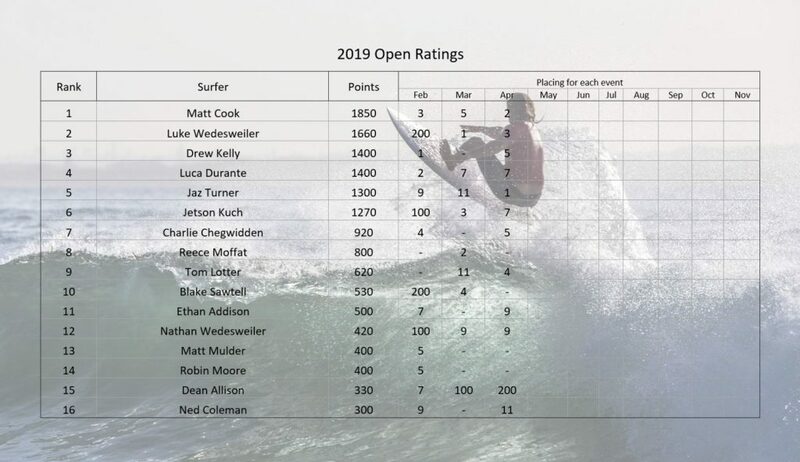 Drop-ins on the surfer on the inside – where the drop-in directly effects the progress of the inside rider – will be penalised by the loss of the offending surfer’s highest scoring ride. The surfer dropped-in on will receive an extra ride (if time in the heat allows). Only paid-up members, who have fully filled out a membership form for 2019 (including applicable signature) will be entered in contests. NOTE: Dates may vary due to State Titles etc. 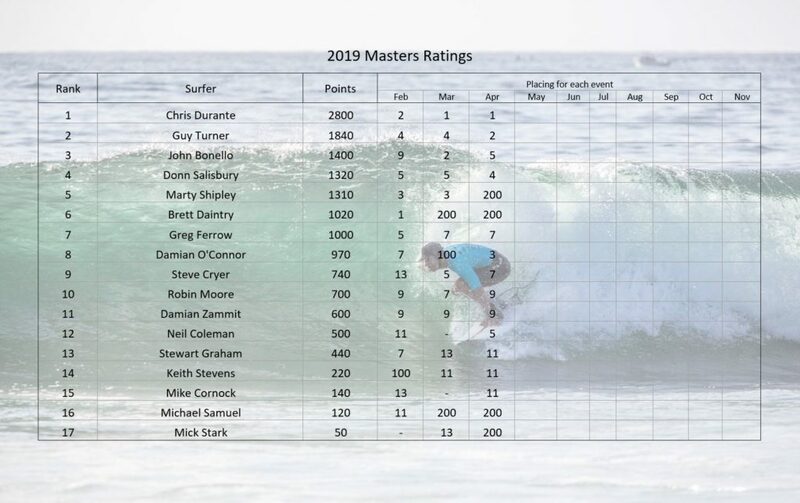 So check www.surfingaustralia.com.au or this site to confirm prior to each event.